Chocolates have the power to speak to the soul. They symbolize so many things and emotions, as well as narrate different stories and time. Essentially, these are the reasons why they have been a favourite subject in film, literature and music. The two adaptations of Roald Dahl’s 1964 masterpiece Charlie and the Chocolate Factory could easily fall under the most sought after works about chocolate. The 1971 adaptation starred Gene Wilder and was directed by Mel Stuart, while the 2005 version directed by Tim Burton featured Johnny Depp as Willy Wonka. In the movie, one can find many interpretations of chocolates. The chocolate bar with a golden ticket signifies Charlie’s hopes and dreams, as well as the idea that good things come unexpectedly in small packages. From personal desires and dreams, chocolates are depicted as treats with magical powers in the 2000 adaptation of the novel Chocolat. It narrates the story of a young mother Vianne Rocher, played by Juliette Binoche, who arrives at Lansquenet-sous-Tannes, a subdued village, with her six-year-old daughter. There, Vianne opened a small chocolate store called La Chocolaterie Maya. Her confectionary masterpiece began changing the lives of the townspeople who used to give up worldly or sensual pleasures during Lent. Through chocolates, she was able to help a troubled woman gain confidence, and a violent husband turn into a better man. Meanwhile, the romantic and passionate symbol of chocolates is depicted on Laura Esquivel’s Like Water for Chocolate, which had its film adaptation in 1992. The title came from the Spanish line “como agua para chocolate,” which expresses anger or strong desires. From novels and films, chocolate also comes as a favourite symbol in music. One example is Chocolate by the famous English rock band The 1975, who already rocked the grounds of Manila twice – March 2014 and January 2015. Romance, fun, passion, adventure, dreams and pleasure—chocolates can really mean a lot of things. However, one chocolate brand knows that there is a chocolate for every personality, for every mood, and for every occasion. Premium artisanal chocolate Villa del Conte offers a wide range of sweet treats, from praline balls and praline sticks, to chocolate bars and candy coated ovicinis. And with every chocolate, comes a special message that you want to say. For bulk orders, please contact 893-2575 or 621-6101. 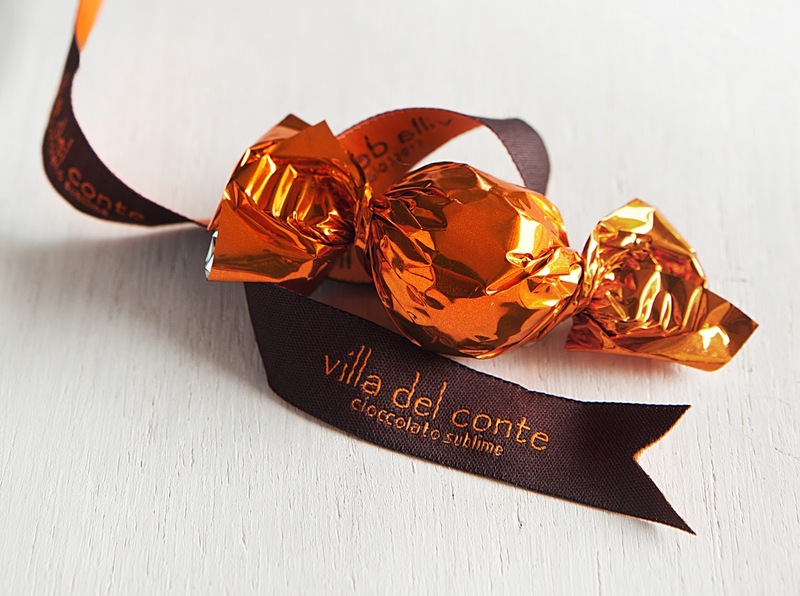 Go to http://www.villadelcontecioccolato.com/ to know more about Villa del Conte, or follow them on Facebook: https://www.facebook.com/VillaDelContePh, Instagram: http://instagram.com/villadelconte, and Twitter: https://twitter.com/VilladelConte.